The Pioneer Tradie BACKBONE for the Toyota Prado 150 is built with tough-as-nails reinforced nylon and aluminium and has been tested in the harshest outdoor conditions. It’s also corrosion-resistant so it won’t rust or fade. It also features a fully-welded side rail to make loading and unloading your gear easier. You can relax knowing that your equipment is safe on the road. Campers will love the tray’s compatibility with the Rhino Jerry Can holder, Luggage Bag, Spare Wheel Strap or BATWING Awning, while tradies can add the shovel and high lifting bracket, Rhino ladder, and many more. Get out on the road quicker without having to leave any of your gear at home. So whether you’re heading to the coast for a weekend of fishing, helping a mate move house, or looking for a way to transport more of your work gear around town, the Pioneer Tradie BACKBONE is the ideal transport solution for you. NEW ! - THULE Roof Box / Luggage Box - IN STOCK! 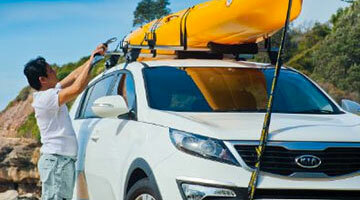 THULE’s new Force ROOF BOX has a versatile roof-mounted cargo box for everyday use. Available in a range of sizes, there is sure to be one to suit your needs. 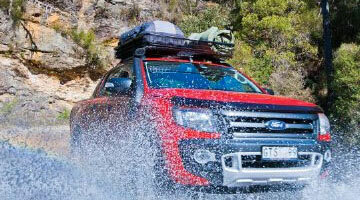 Adelaide’s largest display of Roof Racks, Luggage Boxes, Bike Carriers, Kayak Carriers, 4WD Racks, Van Shelving and more. We walk our talk. Our team has experienced Four Wheel Drivers, Campers, Cyclists, Kayakers and general all round Adventurers. Get the best advice possible for your general carrying needs or your next adventure and visit us at our showroom, 37 Gilbert Street, Adelaide. You will find innovative products that will make motoring more enjoyable and enable the vehicle to be fully utilised for all business and leisure activities. Whether you wish to carry anything from skis, kayaks, bicycles, luggage, surfboards, fishing rods or even the “tinny”, we have a solution for you. 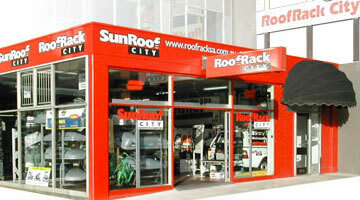 Roof Rack City Adelaide offers full installation of our products and is also a repair and service provider for Webasto diesel-powered heaters. To find out more about roof rack installation and installation of other products for your vehicle, call us or drop into our showroom. Similarly, if you are an electrician, plumber, painter or builder we have a range of van fit outs that include van shelving, ladder racks, cargo barriers, hazard lighting, van flooring, ute lids, XL service bodies and ARB canopies. See our Van Fit Outs page for layouts and ideas.